Chances are Pro-Lok™ has a lot of similarities to your business. Since its inception in 1983, Pro-Lok™ has been family owned and operated. But before Pro-Lok™ was manufacturing industry products such as Blue Punch™ Key Machines, Installation Tools, Kalifornia Key Chains™, Auto Entry Tools, and many other industry products, Pro-Lok™ founders were practicing security professionals. Operating three successful security stores in Southern California, the initial experience working the sales counter, answering customer phone calls, dispatching services vehicles, bidding on contract jobs, and merchandising retail stores has provided Pro-Lok™ with the real world knowledge and foundation to build and expand products into the security market. Their 17 patents acquired since 1983 is a testament to their ability to find solutions to many of the industry’s problems. Most of us are familiar with Pro-Lok™ tools and Blue Punch™ Key Machines however; many of us do not know that they are a leading supplier of firearm safety products in the firearms and sporting goods industry. Pro-Lok™ has supplied the sporting industry with millions of firearm safety products, safes, and key accessories. Pro-Lok is a manufacturer with two divisions. Their tool division designs and manufacturers products for auto opening, hardware installation, and Blue Punch™ Key Machines. Their retail products division is comprised of Pro-Lok™ gun locks, Pro-Lok™ safes, Kalifornia Key Chains™ and the new Entry Armor™ security product line. Although not initially planned, Pro-Lok™ was thrust into the public spotlight when testing standards were developed for gun locks. Pro-Lok™ was initially the only company that was able to design and deliver gun locks that met stringent testing standards. Firearm and sporting good companies then requested Pro-Lok™ to provide a small safe for handgun storage. Pro-Lok™ did that and better. Pro-Lok™ designed colorful and attractive packaging that turned safes into high-ticket impulse sales opportunities. Sporting goods customers then looked to Pro-Lok™ to provide bullet and sporting related key accessories for additional impulse sales. The Kalifornia Key Chain™ line was introduced. Before they realized it, Pro-Lok™ was not just a tool manufacturer, but had successfully entrenched itself into retail products. 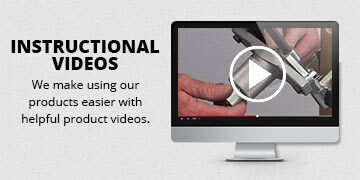 The tool division has been providing installation tools for many years. Many of the installation tools are designed for customers who retrofit locks. When retrofitting locks, many times wrap plates are needed to complete the installation. It not only makes sense, but it is why Pro-Lok™ was asked and encouraged by customers to supply wrap plates to finish the installation process. It was decided to start the new Entry Armor™ brand to market these new retail items. Entry Armor™ is a new brand name built on the experience Pro-Lok™ has in the security industry. Entry Armor™ merges innovative thinking, superior engineering, and their distinct industry knowledge to develop high quality products that create valuable, time saving solutions. The Entry Armor™ product line offers new patent pending products, new finish choices, innovative product designs, and unique marketability used in conjunction with other Pro-Lok™ installation tools and products. The result can be more efficient installations and reduced time on the job site while providing a higher level of security. The Entry Armor™ name is the cornerstone behind this new product brand from Pro-Lok™. The name not only describes what the product line has to offer, but it conveys strength, quality, and durability that are expected from security professionals by the end user. The logo is aesthetically appealing while reinforcing the sense of strength and security Entry Armor’s™ high quality visual display packaging is designed to enhance the product while instantly projecting a quality image. Entry Armor™ offers more than 252 SKU’s consisting of latch protectors, wrap plates, home and commercial security products. Latch Protector installations can sometimes be difficult because many times there is a height or offset adjustment that needs to be made between the door and the frame to ensure a proper fit. Many times a latch protector cannot be installed because the plane of the door does not align with the plane of the frame. Pro-Lok’s™ Entry Armor™ has solved this problem by providing a patent pending spacer with a variety of latch protectors. The spacers are installed between the door and the latch protector to reduce the offset. This may reduce compromising the security of the entryway while providing accurate, easier installations that will save the installer time and money. There may be an installation that does not require a spacer; however, another job may need more than one depending on the construction of the entryway. Spacers are also available separately. A segment of security lock hardware has grown considerably in size over the years. The larger sized hardware may pose a security threat in the door entry access point because many latch protectors are not large enough to accommodate many newer hardware models. This poses a real problem. Entry Armor’s™ new elongated ELP-240 series is the solution. This new patent pending versatile latch protector features up to a 17% increase in the cutout relief over what is currently available in the marketplace. This beneficial solution will fit the widest array of commercial hardware providing the added security and reinforcement that is needed in commercial applications. Level 3 Security: Offers a commercial grade security to deter forced entry. Level 2 Security: Features 1 Anti-Spread pin providing additional commercial grade security to deter forced entry and doorjamb separation. Level 1 Security: Features 2 Anti-Spread Pins providing heavy-duty security to deter forced entry and doorjamb separation. New latch protectors that are “handed” may be more aesthetically pleasing. The ELP-220, ELP-221, and ELP-222 are 11” latch protectors offering the compatibility with handed doors that accepts up at a 3-1/2” rose. The handed option permits the latch protector to protect not only the latch, but many times the deadbolt too, from forced entry. The result is a more secure entryway and increased peace of mind for the consumer. Although Stainless Steel is the most popular model, a new textured Duronodic powder coated finish is offered. This rough and tough weather resistant finish complements the doors and hardware commonly found today. Other latch protector finishes include aluminum powder coat, mirror finished chrome, polished brass, and chrome. Entry Armor’s™ packaging focuses on retail sales with the goal of bringing together the consumer and the security dealer to discuss security needs and solutions. Entry Armor™ has accomplished this by designing eye appealing packaging that is not only inviting to the consumer, but also packaging that emphases the quality finishes. The packaging is functional, informative, and easy to reference. Most part numbers appear on the front and back of each package, allowing for easier organization. Each item is barcoded to assist in inventory control and to decrease the time spent on the transaction process. Installation instructions are included on the back of each item with illustrations to visually aid in the installation. Pro-Lok’s™ full line of retrofitting installation tools has been making hardware retrofitting installations easier for years. The installation templates ensure an accurate installation each time because the backset and cross bores are predetermined for the installer, reducing the chance of error. Pro-Lok™ is building upon their retrofitting installation solutions by offering Entry Armor™ Wrap Plates. Committed to providing both pre and post installation solutions for door hardware, Entry Armor™ offers more than 118 wrap plates. The wrap plates are specifically designed to provide additional armor to the door and latch to deter forced entry, aid in retrofitting new hardware, and repair damaged doors. The wrap plates utilize a superior quality stainless and cold roll steel base. The highest quality finishing techniques are also utilized to provide a long lasting finish. The wrap plates are fitted with threaded inserts to receive the latch and deadbolt screws provided. The clear view clamshell packaging can be opened and closed as often as needed. The attractive graphics makes the product ideal for merchandising. The clear clamshell also allows the holes and size to be seen without opening the package or removing it from a box. The brand name and visual packaging projects a very high quality image to the customer. The part numbering system is simple to use and understand. For example, all wrap plates that have a simple 2-1/8” hole are grouped and numbered together. Entry Armor’s™ home and commercial security products are effective complements to the innovative latch protectors and wrap plates. These attractive additions are ideal for any retail space or residential and commercial application. This portion of the Entry Armor™ product line consists of: Adaptor Plates, Door Knobs, Door Latches, Door Viewers, Flip Locks, Filler Plates, Hole Covers, Hasp Locks, Showcase Locks, Patio Door Locks, Strike Plates, and Window Locks. Entry Armor™ Security Hardware is available in a variety of finishes including: Aluminum, Antique Brass, Chrome, Brass, Duronodic, Mirror Finished Chrome, Oil Rubbed Bronze, Prime Coat, Stainless Steel, and White that meet the standards of the Builders Hardware Manufacture’s Association (BHMA) and the American National Standards Institute (ANSI). Entry Armor™ products are “sealed” with a powerful clear coat for cosmetic enhancement and corrosion protection. The Duronodic textured finish is new innovative finish to the security industry. This new textured finish offers both weather and corrosion resistance protection while providing superior exterior durability and gloss retention. This new finish is free of harmful solvents that normally lead to decomposition. The finest Stainless Steel products are offered to complement any door or hardware. Aside from Stainless Steel and Duronodic, the other high quality finishes offer high corrosion resistance, stain resistance and abrasion resistance. The finishes are attractive, durable, scratch, and corrosion resistant, which appeal to decorative applications in heavier ‘wear and tear’ environments of residential and commercial applications. Merchandising is more than adding product to the shelf; it plays a crucial role in how a business is portrayed. The business’ image should be considered when deciding everything from business cards to product inventory to store design. Everyone is competing for the consumers’ dollar and today is more important than ever to understand consumer buying habits to ensure continued success in the security industry and the overall retail marketplace. Entry Armor™ provides commercial grade security options that cannot be found outside our industry. This decreases your competition allowing the security industry exclusive access to this innovative new product line. In this time of fiscal watchdogs, adding Entry Armor™ to store shelves adds new and refreshing product offerings for consumers. The patent pending products are more functional, easier to install, and provide additional entryway security. The attractive black packaging enhances the product finishes, drawing the consumer into the product. The colors are inviting, while the name clearly explains the function of the product line. Security should be taken seriously, and Pro-Lok’s™ new Entry Armor™ security hardware line offers professional choices in today’s changing, fast paced world. By displaying and selling Entry Armor’s™ flagship latch protectors, it makes sense to also sell and display Entry Armor™ wrap plates, home security and commercial security products. Not only will you be selling high quality products, you will be providing a brand name and packaging that elevates your image to your customer. For more information about Entry Armor™ security products or other quality products from Pro-Lok™, contact Pro-Lok™ at 714.633.0681. You can also find them online at: www.PRO-LOK.com or www.ENTRYARMOR.com.